Athens and Greece are undergoing fundamental shifts in mindsets, technologies, demographics, and more. Still fighting through and rising up from the crisis, Athens has now become burgeoning creative and startup hub. To learn more about the evolution of this city and its creative growth through the years, we sit down with someone who has been there since day one and not only seen the ups and downs but built a coworking space and community that is still growing to this day. In this Thought Imports, Olga Paraskevopoulou — Founder of Stone Soup, a creative and collaborative coworking space based in the heart of Athens (and our coworking home here at The Port) — shares experiences, reflections, and insights on how Greek tech has evolved and where it is headed. I started out studying communication and new media at a university here in Athens. Then, because of the crisis, I decided to go abroad to Amsterdam and attend an international masters course in digital media. Being there, the most interesting thing for me was getting accustomed to how they do business in Amsterdam; how the university works together with both the municipality and private businesses in the field of technology. There, the municipality was very open to pilot projects that would help them become more transparent or improve smart cities approach. During my time in Amsterdam, I worked on several projects across open data, smart cities, digital strorytelling and other similar realms. I was also associated with Appsterdam, an international organization of creatives and technologists that hosted a lot of events in the tech space — networking events, workshops, training sessions, festivals. My experience in Amsterdam helped me to become more aware of a market I had not known before, its technology, new products, and the discussion around the ethical issues regarding technology. It was also a place where I got to know a lot of people — locals, developers from Silicon Valley, and other interesting minds. It was a great melting pot. Appsterdam also had a coworking space that acted as a base for all these activities, which was my first time experiencing how being in a social working space could bring together such interesting people, give you the ability to bounce your ideas off one another, and just make things easier overall because you could make use of all the knowledge of all the other people that were there. It was an ‘aha!’ moment for me. Before, I was struggling in my house trying to solve a problem, then when I went to the coworking space, I shared my problem and not only found solutions, but made new friends along the way. Since I had experience, the network, and I knew how bad it was the situation back home, my business partner and I decided to come back to Athens. In the beginning, we thought of starting a coworking space with a collaborative, community spin. We saw two groups of people — first, so many young professionals that had just graduated with little experience and few work opportunities; and second, all these people that had knowledge and expertise in their respective fields but without the chance to put it into practice. It was interesting trying to start a business back in 2014. Now things are getting better, there are a lot more things to inspire young minds — conferences, more interactions with international people, coworking spaces and hubs. Nowadays if someone is really curious and interested and want to make something of themselves, and create a new job for themselves, now they have the tools to do that a lot more than 10 years ago. 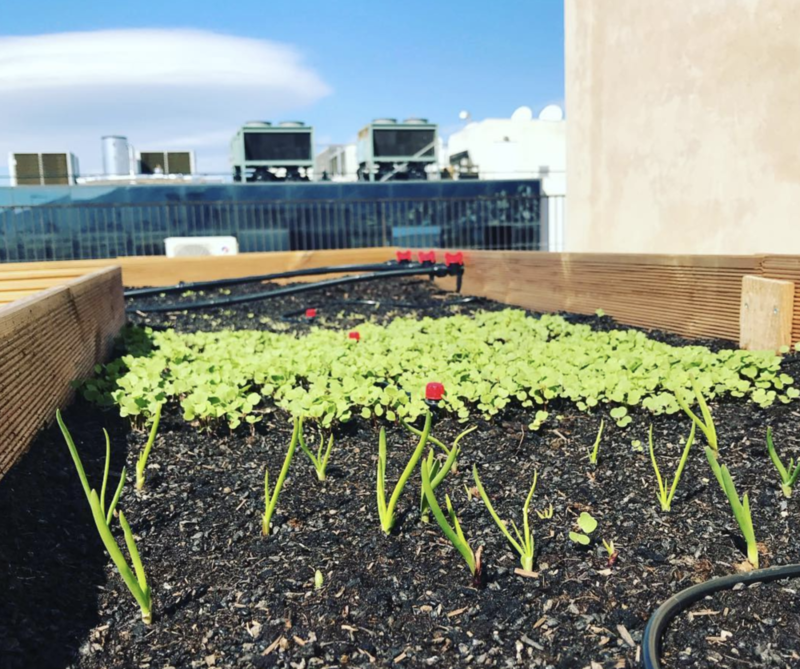 Looking back on the past years of building and growing Stone Soup to today, the first thought that comes to mind is that sometimes ignorance is bliss! Even if I could, I wouldn’t go back and say to myself “don’t do that” “look out for this” or “watch out for that” because I would have intimidated past self. Not knowing what I was getting into was interesting and powerful. In general, it’s a constant process of not letting things discourage you, even when you make mistakes; it’s always good because there’s something to be learned and an opportunity to become better. With perseverance and with the support of good friends I managed to move further along and realize my ideas. 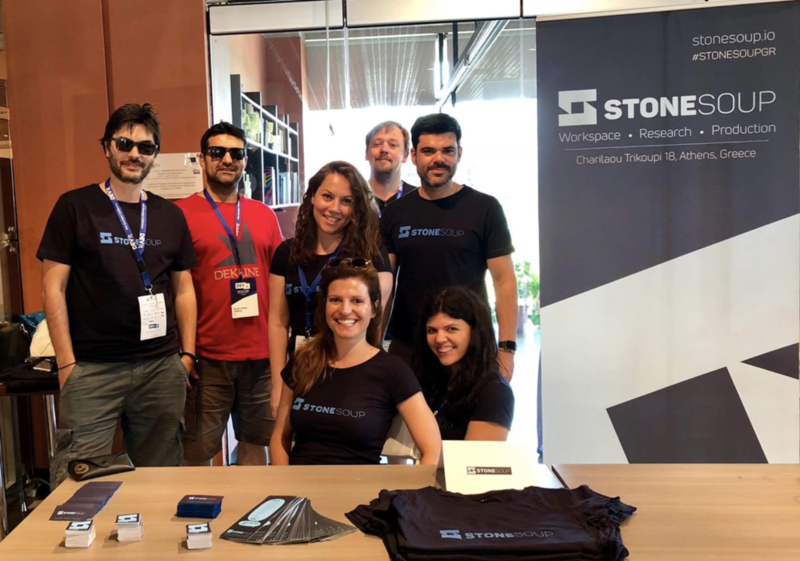 The Greek tech ecosystem has changed a lot, especially the past two years. You can see that the scene is getting more mature and much more international. Before, it was all local Greeks working under the same roof. Now, you can even see a 50/50 split at times – between Greeks and internationals — which gives amazing opportunities and new perspectives to both groups. Internationals are learning how to come into a new culture and explore the opportunities available for them. This is what you see in a lot of European metropolitan cities and we are especially lucky here in Athens. Before in Athens, the majority of the professionals and freelancers were all Greek. Then last year, I started noticing it. 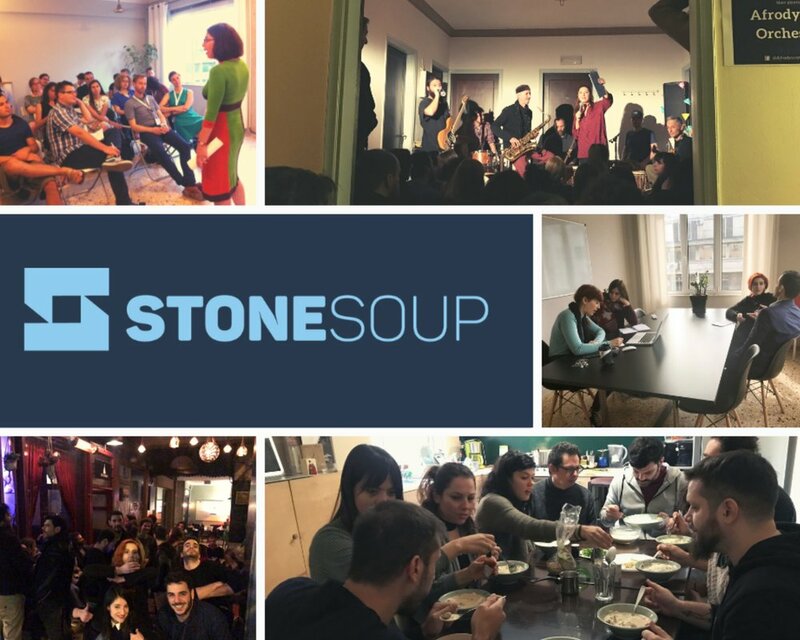 More and more people from abroad were calling to learn about Stone Soup and find a coworking space. Of course, there is the digital nomad paradigm, but there are also plenty of people here who don’t just travel and pass through. There are people from all over the world who have decided to come and live in Athens which was certainly not the reality five years ago. Something else that has shifted is society’s perception of entrepreneurship. It was only the last five years and the evolution of the startup movement that has made it normal for someone to want to found a company. Before, if you said you were an entrepreneur there was a negative connotation, because entrepreneurship was associated with greed and corruption. Now, it’s a viable option and not something to be ashamed of, but something to be extremely proud of. From personal experience and experience meeting with international minds coming through Stone Soup, one of the most important things I’ve learned is that it is good and necessary to travel. It’s good to live for a period of time in another country because that’s the only way that you can learn from another culture, in business and in life, to broaden your perspectives. Traveling makes you question yourself, makes you question some fundamentals that you’ve never questioned before — family, friends, business, money, happiness. Before you travel, you think you know how everything works, and you think you are in a specific frame or context. After traveling, you realize nothing is as square as you think it was. You don’t have the safety net that you have when you’re back home and it pushes you to accomplish something on your own… which is what makes it a good life- training experience (“einai kalo scholeio,” as we say in Greek). We started Stone Soup to bring people of different backgrounds and experiences work on small projects together. Since the beginning, we did not opt for a fast-paced development and we steered away from the traditional coworking model to a more project-based one and the two aspects evolved together organically, one making the other easier. We started as a white canvas and now slowly by being here, working on more projects, and getting more interesting minds collaborating and coming through the space, we saw how Stone Soup could come to life. In the coming years, my plans are to make it easier to operate and have a space that will be a full digital creative space. To be able to offer services that has to do with business design and development and make it easier for potential clients to look for us, but also for the people here to know how to get on board with that process. To explain it better and make it easier, so that we scale further. I’m always interested in the unexpected, so I’m more curious of what will come and what the future holds that I’m not aware of yet. Having diverse people and working relationships, and knowing that there are projects that may lead to spinoff projects or empower some people are confident enough to make something on their own — that is something I would be very proud of. Based in the heart of Athens, Stone Soup is a coworking and collaboration space for startups, freelancers and digital nomads. To learn more about Stone Soup and check out the open community events, keep up with Stone Soup on Facebook: www.facebook.com/StoneSoupGr.